Alun Francis is currently the Chief Conductor of the Berlin Symphony Orchestra. After completing his studies in Manchester he played the horn in the Hallé Orchestra under Sir John Barbirolli and in the Bournemouth Symphony Orchestra with Constantin Silvestri before beginning his conducting career. Alun Francis was appointed Music Director of the Ulster Orchestra in 1969 following short periods with them as Assistant, then Associate Conductor. After ten years with the Ulster Orchestra he became Music Director of the Northwest Chamber Orchestra in Seattle from 1980 to 1985, Conductor and Music Advisor to the Overijssels Philharmonic Orchestra and Opera Forum in The Netherlands between 1985 and 1987, Generalmusikdirektor of the Nordwestdeutsche Philharmonie in Germany between 1987 and 1991 and Principal Conductor of the Orchestra Sinfonica Haydn of Bolzano in Italy. During the earlier part of this period he made recordings with the LSO, RPO, Philharmonia and ECO and conducted nearly every major British orchestra before basing himself first in the USA, then in continental Europe. During the last 28 years Alun Francis has appeared with more than a hundred orchestras and opera companies. In addition to his acknowledged excellence in standard repertoire he is a noted specialist of twentieth-century music and also highly regarded as a conductor of bel canto opera in which area he has a repertoire of over fifty works. 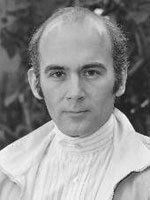 He has recorded several operas for Opera Rara and conducted the world premiere of Donizetti's Gabriella di Vergy in 1978. In addition to his commitments in Berlin he also has guest engagements in Germany with the Radio Orchestras of Berlin, Frankfurt, Hannover and Saarbrucken, as well as both the Hamburg and Stuttgart Philharmonic Orchestras and the Nordwestdeutsche Philharmonie. In Italy he works with RAI Turin and in Milan, Cagliari and Palermo, and in Switzerland with the Basel Radiosinfonie-orchestra and Orchester Stadtisches St Gallen.